Learn about our different types of work and get ideas or pricing. Signs. It's what we do. Fieseler Signs strives for perfection in signage. Our services include a wide variety of tasks ranging from Fabrication to Repairs. 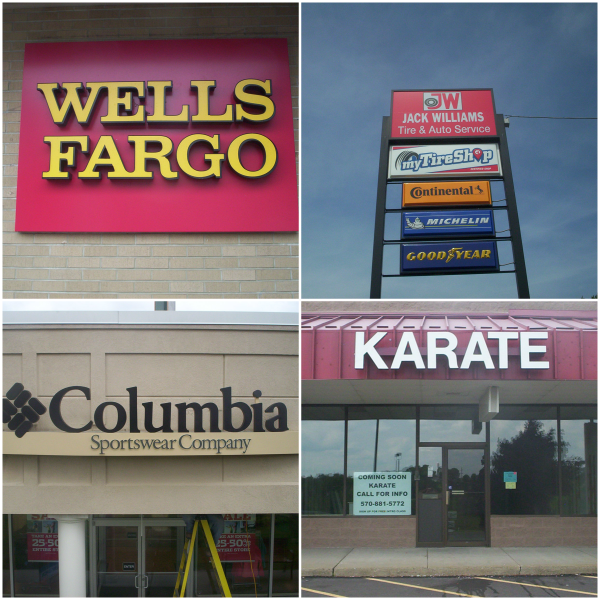 Take a look at our different services, and get ideas on your next sign project. We conduct surveys, secure permits, and design along with fabricate in our shop. We will meet with you to find out what you are looking for, and send that information to our design team. From there our crew will construct your sign, and have it ready for you. *Free design drawings with purchase of fabrication. Click Contact Us to request pricing. Once your sign is ready we will handle the installation start to finish. We will install your sign in a timley manner to attract new business, and customers as soon as possible. We offer our cranes to those who need some lifting done. Call us for cranes, or bucket trucks to help get your job done on time, and with competitive prices. There is a 2 hour minimum charge for our crane services. Call or email for more information.